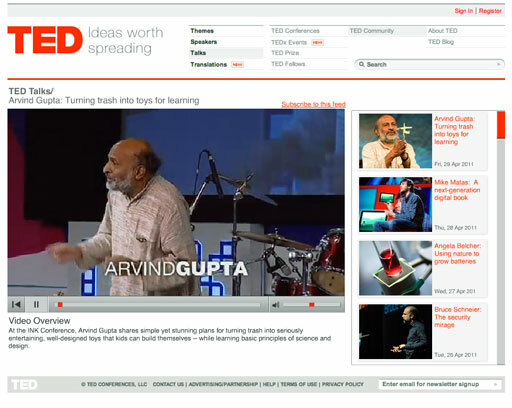 The task for this project was to actively update a custom video player created using the Adobe Flash IDE with live RSS feeds and to display these videos to the user inside a custom interface. 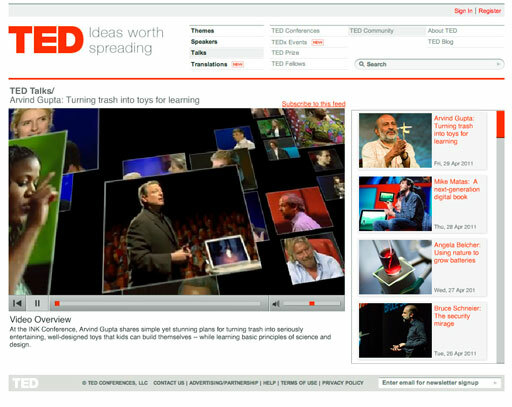 The feed chosen for this was from the TED Network and Feedburner, and is loaded into the video player, as well as displays a list of available video podcasts to choose from. All of the Graphical User Interface for the video player, the playback controls, as well as the gallery listing of available video podcasts were created within the Adobe Flash IDE and the functionality was coded inside of Adobe Flash Builder adhering to Object Oriented Programming design principles. The final deployment is contained within valid XHTML and CSS code, and utilizes SWFObject for the Flash implementation.